Like it or not, our kids are born into a wired world. Digital technology is as ubiquitous as it can be. Despite this, it is our responsibility as parents to help our children develop a healthy attitude towards technology. 1. Spend time with your child. Many experts point out that prolonged gadget use and online activity actually hampers the development of social skills among the young. Parents should carve out time to talk and play with their child, modeling crucial social skills and nurturing their child’s need for actual relationships, not just digital ones. 2. Know what’s out there. Parents have to educate themselves about apps and sites that their kids could possibly be using or accessing. We can read reviews or try out the apps ourselves to figure out possible issues of safety and appropriateness. When children are provided avenues for other activities—painting, climbing a tree, going to the playground, doing constructive play—they don’t actually long for gadget use. Children will always prefer blowing bubbles or playing tag with other children, over solitary play on a gadget. 4. Establish rules for technology use. How long can your child use his gadget a day? Can your child play with a gadget before bedtime? Can your child play with a gadget in the car? All of these questions can be settled by establishing clear guidelines on the use of technology. Allow for boredom! When asked why they allow their children use gadgets for limitless amounts of time, some parents say they don’t want their children to be bored. But boredom has always been the beginning of imaginative play for many children. When they are bored, children begin to put their minds at work and creatively amuse themselves with the simplest of things. Make sure that gadgets don’t take away this opportunity for imagination from your child. 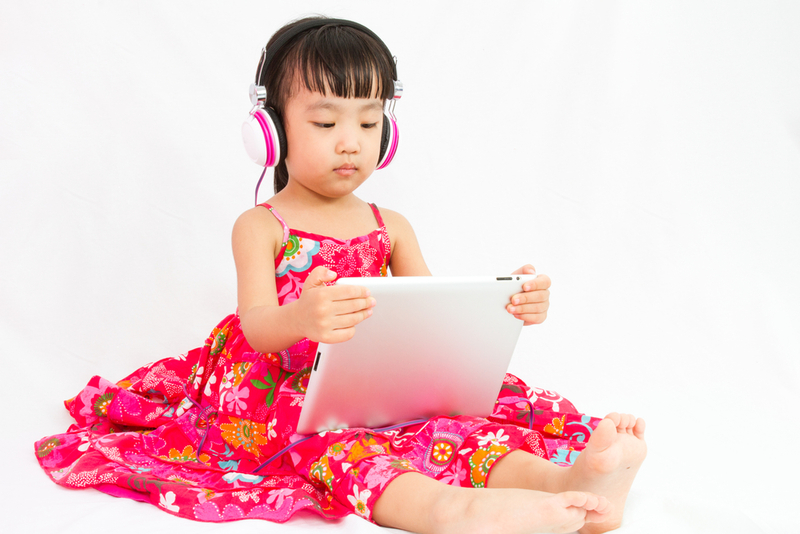 •	For children younger than 18 months, avoid use of screen media other than video-chatting. Parents of children 18 to 24 months of age who want to introduce digital media should choose high-quality programming, and watch it with their children to help them understand what they're seeing. •	For children ages 6 and older, place consistent limits on the time spent using media, and the types of media, and make sure media does not take the place of adequate sleep, physical activity and other behaviors essential to health. There is no need to be overly strict or stressed out towards our children’s use of technology, as long as we keep ourselves informed. Ani Rosa Almario, PhD is the School Director and Co-Founder of The Raya School (www.raya.edu.ph), a progressive school system with branches in Quezon City and Naga City. Ani is also the Vice-President for Product Development of Adarna House (www.adarna.com.ph).